The International Council of Museums (ICOM) today announced that it would soon release a Red List for Egypt. Red Lists describe various types of cultural objects that are considered to be at-risk. Such lists have been created for cultural objects from Afghanistan, Cambodia, Africa, and seven other places. "Following several months of preparation, ICOM is delighted to announce the official launch of a new Red List in the coming weeks. The Emergency Red List of Egyptian Cultural Objects at Risk, the 11thpublication in ICOM’s Red List series and its third Emergency Red List, is one of the tangible outcomes of ICOM’s involvement in the protection of Egyptian cultural heritage, following the events that shook the country in the past year. The List was drafted in close collaboration with members of ICOM’s International Committee for Egyptology (CIPEG), national and international experts in Egyptian art and antiquities, and the Ministry of Antiquities of Egypt." Egypt’s new military authorities have reissued the license to Dominican archaeologist Kathleen Martinez to resume the excavations in the historic search for the tomb of Cleopatra, an investigation that has piqued the interest and obtained the support of the leaders of the United Arab Emirates. Martinez made the announcement Friday, but also revealed the theft of many of the artifacts she had already unearthed and the “disappearance” of the excavation equipment during the year-long turmoil in Egypt. Symposium on Haremheb. General and King of Egypt. Introduced by Catherine H. Roehrig. Many thanks to Dr Nick Reeves for this link. It shows a video version of a symposium about Horemheb. It's long! It lasts for over three hours, and is a great chance to see a series of lectures that you might not otherwise have had the opportunity to experience. I haven't had the chance to work my way through it yet but am very much looking forward to doing so. Great news from the grapevine. Apparently the proposal to run a distance learning Egyptology Diploma course out of Manchester University has passed with no objections at the Education Board and has received very positive feedback from the external assessor. Officially, the Diploma will have to be ratified by the university's Senate, but to all intents and purposes the Diploma will start recruiting soon, and will run from October 2012 so do keep an eye on the KNH website for registration information if you are interested in pursuing distance learning studies in Egyptology..
Aidan Dodson verfolgt mit seinem Buch den Ansatz, eine Zusammenstellung aller Pyramiden in Ägypten zu bieten, ein „up-to-date listing of all known examples belonging to kings and queens “(S. 6, vgl. auch S. 7 & 13). Wie Dodson bereits auf S. 6 richtig feststellt, sind zwar einerseits sehr viele Bücher über Pyramiden erschienen, andererseits stellt es aber ein Desiderat dar, dass bisher kein Corpus alle Bauwerke in extenso behandelt. Between 1887 and 1889, the British archaeologist W.M. Flinders Petrie turned his attention to the Fayum, a sprawling oasis region 150 miles south of Alexandria. Excavating a vast cemetery from the first and second centuries A.D., when imperial Rome ruled Egypt, he found scores of exquisite portraits executed on wood panels by anonymous artists, each one associated with a mummified body. Petrie eventually uncovered 150. Paneb - "The All Round Bad Guy"
In preparation for the opening of our Ancient World Galleries, I spoke to our entomologist Dr. Dmitri Luganov about the habits of the scarab beetle and its significance in Ancient Egypt. Just over 5 minutes in duration. Video of the newly discovered tomb in the Valley of the Kings showing the opening of the 22nd Dynasty coffin. It is in German but there are some good shots even if you don't understand a word. Thanks to Margaret Maitland's tweet on the subject for the link (@eloquentpeasant). And thanks to Barbara O'Neill for reminding me that Twitter does have a use! House E13.6 at Amara West is a linear domestic house in the centre of the town. In its late phase, the house was entered from a narrow lane through two small rooms, leading to a large central room. Excavation in the second of these small rooms revealed a cluster of large white sandstone blocks, lying under mudbrick rubble from a vaulted ceiling. They lay in a jumble in front of the doorway into the central room. The largest stone slab lay on top of the smaller blocks and was cracked across its width near the centre. The profile of this slab showed that the underside was smooth with a raised edge down one long side; this was clearly a carefully worked stone face, suitable for carrying decoration or an inscription. My thanks to Alice Gaylor for point out this link. It is an old link, but I didn't see it at the time and it is still very interesting. Basically, a set of papyri from the Old Kingdom (probably the 6th Dynasty, during the reign of Teti). Badly damaged, the various pages have been studied over a 1o year period and some of the results have been revealed. The pages are from the office of royal architecture, responsible for the King's work and particularly his pyramid. There are several mentions of the transportation of stone blocks, limeston but above all granite. Several job titles are given. The funerary complex of Teti is cited several times which could mean that this is a log of everyday activity at the site. Finally, the papyri discuss several royal personages (queens and princes) hitherto unknown and whose graves could be located in the vicinity of the royal pyramid of Teti, yet to be discovered. Ce jour à Paris, Philippe Collombert (qui dirige la mission française de Saqqarah Sud) a dévoilé les premiers résultats d'un travail mené depuis dix ans : un lot de papyrus tout chiffonné découvert par hasard dans une boite en carton dans une salle de l'institut français du Caire (IFAO). Après de longs mois de travail pour dérouler les nombreux fragments, l'égyptologue a réussi, pour le moment, à constituer 17 plaques. Mais les papyrus sont très détruits mais M. Collombert peut tout de même fournir des éléments particulièrement intéressants. Ils datent sans doute du règne du roi Téti (6e dynastie) car le nom du roi est cité à de nombreuses reprises et pas seulement pour désigner son complexe funéraire (ce qui est important). Ils furent sans doute découvert par Lauer à la fin des années 1930 autour de la pyramide d'Ounas, zone sud. Last week as news was breaking about the new tomb—KV64—Em Hotep received word from Stephen Cross, an Egyptologist and Geologist specializing in the Valley of the Kings, that he had photographed the tomb while conducting his own, unrelated research in the Valley. Naturally, Steve held onto this wonderful shot until after the University of Basel had made their announcement. Now that the whole world knows about KV64 and its lovely occupant, Steve has very kindly agreed to allow us to publish the photo, along with answer some questions about what is going on in the Valley of the Kings. Inside: Current projects in the Valley of the Kings, Steve’s meeting with the new head of the Supreme Council of Antiquities, and a picture of KV64 you will not see anywhere else! Who should save Egypt's archives? It has sometimes been claimed that, like human rights and democracy, the protection of Egypt's cultural heritage cannot be left to the Egyptians. Corruption, poverty and ignorance, Egypt's critics maintain, pose a serious threat to the preservation of artefacts of "global importance". Egypt's own Antiquities Council, of course, claims otherwise. Attempting to demonstrate its commitment to safeguarding "national heritage", erstwhile director Zahi Hawass waged a mildly successful international campaign to repatriate what "rightly belongs" to Egypt. In one case, a mummy returned from Atlanta, Georgia, was given a farcical state-funeral, serenaded by singing schoolchildren and marching military bagpipers. Hawass, obsessed with ancient showpieces like the bust of Nefertiti and the Rosetta Stone, has long overlooked the theft of Egypt's non-ancient heritage. Ottoman deeds and Khedivial records that have mysteriously appeared in both private and public collections in the Gulf, for example, fell entirely outside the remit of his campaign. Analysis of a mummified, 2,500-year-old bird in the collection of a Canadian museum has led to a significant discovery about how ancient Egyptians viewed animals and their role in the afterlife. Led by University of Western Ontario archeologist Andrew Wade, a team of experts from Canada, the U.S. and Egypt used computer imaging techniques to identify food stuffed into the beaks or bellies of sacred ibises — including a specimen from Montreal's Redpath Museum — before the creatures were sacrificed, mummified and placed as offerings to a god at prehistoric religious sites throughout the North African country. The findings are the first to show mummified animals being treated with the same kind of reverence shown to humans, with ancient Egyptians apparently determined to ensure adequate food supplies for all living beings as they journeyed beyond death. Often overlooked by the mainstream, the oases in the Western Desert of Egypt offer a unique view to the history of ancient Egypt. The history of the oases parallels the history of the Nile Valley, but there is a more rustic view. Of the oases, the Dakhleh Oasis, one of the furthest oases from the Nile Valley, shines as an archaeological star, presenting to the world an almost uninterrupted chronology of ancient Egypt stretching from the Predynastic period through modern times. This paper will touch upon each ancient Egyptian era until the Graeco-Roman period, bringing together a number of sources, but focusing mostly on the archaeological records supplied by the scientists working in Dakhleh. Two teams of archaeologists currently work in Dakhleh. Monash University in Australia excavates at the sites of Deir Abu Metta, Muzawwaqa, Ismant el-Kharab or ancient Kellis, and Mut el-Kharab. New York University (NYU) has recently taken over the American work in Dakhleh from Columbia University. NYU is excavating the sites Amheida and Ain el-Gedida. The archaeological site records produced by both these institutions were invaluable to the following research. Before it is possible to view a snapshot of ancient Egyptian history through the lens of the Dakhleh Oasis, the oases must be first examined from the perspective of the Nile Valley, albeit briefly. This book recounts the various search operations on the pyramid of Cheops made at the request of the Egyptian and French authorities in 1986-1987. After the premature end of the Cheops operation in the Autumn of 1986, following the fiasco of unsuccessful drillings in the area suspected by both architects G. Dormion and J.P. Goidin and microgravity auscultation, EDF and CPGF (a geophysical company) teams continued their researches with measurements already made, trying this time an inversion of the Newton gravity equation for the entire pyramid and using another theoretical team led by the author. The west coast premiere of Cleopatra: The Search for the Last Queen of Egypt, featuring the largest collection of its kind ever assembled in the U.S., will open at the California Science Center May 23, 2012. More than 150 priceless Egyptian artifacts illuminating the life of Cleopatra VII, one of the most provocative and powerful women in history, will be on view including colossal statues, jewelry, coins and items from her sunken palace in Alexandria and other ancient sites that were significant during her life as queen. Cleopatra: The Search for the Last Queen of Egypt immerses visitors in the experience of two present-day searches on land and sea for the elusive queen, which extend from the sands of Egypt to the depths of the Bay of Aboukir near Alexandria. The artifacts weigh in at about 30 tons in total, including two 16-foot granite statues of a Ptolemaic king and queen from the 4th – 3rd centuries B.C. .
“Cleopatra” the movie is legendary in Los Angeles as the film starring Elizabeth Taylor and Richard Burton whose budget spun so far out of control that it nearly bankrupted 20th Century Fox in the early 1960s. Now comes Cleopatra the historical figure, starring in a touring museum exhibition that will arrive May 23 at the California Science Center in Exposition Park for a seven-month stay. “Cleopatra: The Search for the Last Queen of Egypt,” will offer more than 150 artifacts, the biggest being 16-foot granite statues of two of the queen’s ancestors from the Ptolemaic dynasty that ruled from the 300s BC until the asp did its dirty work on Cleo in 30 BC, as Liz duly depicted on the big screen. For those wanting to know how the real Cleopatra VII looked, the exhibition will offer gold coins with her profile (such as the one pictured). A New York Times reviewer deemed her features “less than sensuous” in critiquing the show’s 2010 premiere at the Franklin Institute in Philadelphia. Tutankhamen reaches Japan for the first time in 46 years this week on the last leg of a ten stop tour that began in Switzerland in 2004 and passed through Germany, France, England and several US states. Japan last fell under the spell of Tutankhamen in 1965 when parts of the priceless collection were exhibited in Tokyo. This time the exhibition will take place in the southern city of Osaka. During the inauguration ceremony on Wednesday, Japan celebrated the arrival of the collection and the 150th anniversary of the first Samurai delegation to Egypt. Minister of State for Antiquities Mohamed Ibrahim described the exhibition as an expression the amity between Egypt and Japan, and a message that Egypt is safe and open for business. At the main hall in Cairo's International Conference Centre, the organisers had pulled out all the stops. Suited waiters scurried about with canapés, pyramids of baked treats were stacked up on trestle tables, while dignitaries shook hands fervently in front of snapping cameras. For several hours the only thing missing was the guest of honour – though given the event's title, it was perhaps no surprise that Egypt's tourism minister felt little pressure to appear on time. When Mounir Fakhry Abdel Nour did finally show up at this government-sponsored celebration of "last year's tourism achievements", his keynote speech offered little comfort to the industry figures who had gathered to discover just how bad the past 12 months had been – and what the fragile and protest-battered military government was planning to do about it. Since revolution erupted on 25 January 2011, Egypt's tourism sector – which had been generating more than £8bn a year and was believed to employ one in eight of the workforce – has been decimated. The upshot, revealed Abdel Nour on Saturday, has been a £2.5bn decrease fall in tourism revenue alongside 32% fewer visitors, with the capital – which has played host to most of the street fighting in recent months – taking the brunt. There is a cycle in the Valley of Kings of burial (sometimes reburial) and robbery ancient and modern. There are mummy caches with dockets recording the movement from one safe place to another. There is one artefact that he feels sums up the whole valley which is of the remnants of the face piece where the wooden remains clearly show the marks of the adze that removed the gold. For anyone interested in the activities of Hawass, following his replacement, he has updated his website (see above link). The most interesting pieces of information that he imparts are that an artefact has been recently returned to the Egyptian Museum and that Hawass is currently writing a book about antiquities and the 2011 revolution, which is almost finished. He says that it will be published first in English and then in Arabic. a Roman priest who changed some of the names in the cartouches. When soldiers and protesters clashed in downtown Cairo in late December, the army's crackdown left at least 16 dead and hundreds injured. Another victim of the violence was the oldest scientific institute in Egypt, which was largely destroyed in a fire, along with much of its precious library. The destruction of the historical archive of the Egyptian Scientific Institute caused an outcry. But while this is the most significant case of Egypt's historical heritage being damaged by the turbulence of the last year, it is hardly the only one. Since the uprising that ousted President Hosni Mubarak last February, antiquities and historical sites have faced a variety of new dangers. "Threats to the heritage are diversifying," says Tamar Teneishvili, who oversees cultural programs in Egypt for the United Nations Educational, Scientific, and Cultural Organization. "Who would have thought that the institute would burn that way? The situation is so unpredictable and volatile." After months of decision, indecision and counter- decision, Egypt's antiquities and monuments have got their own ministry back. The Ministry of State for Antiquities has been resuscitated to join the National Rescue Government (NRG) led by Prime Minister Kamal El-Ganzouri. Since the start of last year's January Revolution, several ancient monuments and artefacts exhibited in Egypt's museums, storehouses and archaeological sites have suffered from negligence or worse. The prevailing chaos led to a lack of security all over the country, and robberies were commonplace. Meanwhile, the official body, the Supreme Council of Antiquities (SCA), then under the umbrella of the Ministry of Culture, swung between a Ministry of State for Antiquities (MSA) and an independent SCA body affiliated to the cabinet. Finally, when the Supreme Council of the Armed Forces (SCAF) established the NRG two months ago, Egypt's antiquities regained its ministry as the MSA. Mohamed Ibrahim, chief of the Tourism Guiding English Department in the Faculty of Arts at Ain Shams University, was appointed to the post and became the second Minister of State for Antiquities, succeeding the better known archaeologist Zahi Hawass. Ibrahim is no stranger to the SCA or the MSA's archaeological stratum. Thousands of historical documents could be lost following a fire at the Institute of Egypt - which began during clashes in Tahrir Square last month - but an army of restoration workers is working day and night to save the country's written history. The plain-clothes security guard in the dingy ground-floor office at Egypt's National Archives eyes my camera suspiciously. On the desk in front of him lies a heavy black revolver. After a brief dispute with my guide and phone calls to his seniors, he reluctantly lets me in. I am led into an adjoining room where, knee-deep in stacks of newspapers, men and women wearing face masks, rubber gloves and white lab coats are hard at work. The mummy Nefrina came face to face with her funeral mask Wednesday, as the likeness that had been buried with her — but was separated the past 82 years — was returned to her in the Reading Public Museum. Museum Director John Graydon Smith thanked the University of Pennsylvania for lending the mask to the museum for the next year. It was scheduled to go on display Thursday in the Nefrina Gallery. "We are delighted," Smith said. "I really think it's going to show people, especially kids, what they were trying to accomplish in the mummification process. "I don't know that we'll see a huge influx of visitors. From a responsibility perspective, this is the right thing to do." The university bought the mummy, its coffin and the mask from an antiquities dealer in 1893. In 1930, it agreed to let the Reading museum borrow the mummy and coffin for display. But it insisted on keeping the mask, even after the museum bought the mummy outright in 1949. The museum has been trying to borrow the mask since 1993. Each month I hope to highlight an individual object that will feature in our new Ancient Worlds galleries. Many of the objects in the collection have incredible stories behind them but, due to an inevitable lack of space, these cannot be included fully in gallery labels or text panels. We aim to tell some of these stories – or “object biographies” – in digital content to accompany the new displays. This small cup is only 6.75 cms in height but is made of eye-catching bright blue faience, or glazed composition ceramic. The hieroglyphs name Nesi-khonsu, wife of the Twenty-first Dynasty ruler Pinedjem II. She is given the title “first in charge of the musical troupe of Amun” (tA wrt-xnrt tp n imn) – a group of female musicians who entertained the deity in his temple at Karnak. Speaking at a press conference on Tuesday, Ali said that representatives from Besix Group, the Belgian company that won the bid for the project, recently attended a ceremony for the start of the final phase, along with a number of foreign ambassadors. Ali said that the overall cost of the project will be LE5 billion, adding that the Japanese government had provided a large part of the funding as a soft loan to be repaid within ten years of inauguration. SHE was spirited to Scotland by a forward-thinking Egyptologist who made an unusual decision not to unwrap the mummified remains of a young woman to find any “treasure” lying beneath. Now, more than 150 years later, the secrets of what is under the black-tarred linen surrounding the “Rhind Mummy” has been revealed in a series of CT scans. An Edinburgh University team of radiologists and forensic pathologists have identified the remains as those of a 2,000-year-old Egyptian woman, aged 25-29, with a plate of metal, probably solid gold, in the shape of a flying scarab, placed on her skull. Another metal disc has also been found on her stomach, and she is clutching a rolled scroll in her right hand against her thigh. The scroll is likely to be a funerary text, combining directions for mummification with guidance for the afterlife, and it could give the mummy’s lineage or name. On November 6, 1823, four Englishmen disembarked in the harbour of Alexandria. In the succeeding ten months, they traveled up the Nile as far as the Second Cataract and, in the course of their travels, witnessed the turmoils of a revolution against Mohamed Ali Pasha, the viceroy of Egypt. In this volume, Henry Westcar’s journal, which was written during this journey, is edited and annotated for the first time in its entirety. Additionally, the book offers a profound overview of the reign of Mohamed Ali Pasha and particularly the treatment of ancient monuments. The topic of the famous “Westcar Papyrus”, which owes its name to the author of the journal, is discussed in an excursus. The Journal of Ancient Near Eastern Religions has an article focusing on Egypt, for those who are interested. Fishermen in rowing boats just a few feet away from us slapped the river with big wooden bats to bring their prey to the surface. Farmers in long robes called galabeyas guided donkey carts loaded with sugar cane along the banks, and we counted the shiny black buffalo squatting in the shadows and pure white egrets standing in the shallows. We waved back at passengers on the big cruise boats as they swept past, dwarfing our small but perfectly formed wooden vessel, and agreed that the Nile offers the best river cruise in the world. Our boat with a difference was Amber, a dahabiyya. These wooden sailing boats were favoured 100 years ago – when Egypt-mania was new – by travellers who wanted to see the river, tombs and temples at a relaxed pace and in luxury, sharing the experience with a few like-minded passengers. Libya boasts a rich cultural heritage; Palaeolithic rock paintings, Greek and Roman ruins and ancient desert oases. These historic treasures, including six UNESCO World Heritage sites, have suffered years of neglect and most recently the perils of conflict. During the conflict in Libya there were allegations that pro-Qadhafi troops and missiles were being hidden in the ancient city of Leptis Magna and that Qadhafi was using it as an archaeological shield. With such explosive storage, the risk of damage was great, but the sites of Leptis Magna and Sabratha have survived the conflict unscathed. That is excellent news for the cultural heritage of Libya and the tourism industry that the nation hopes to resurrect. Conflict is not the only threat to ancient artefacts. There is also the risk that a breakdown in law and order can give criminals the opportunity to steal items of great significance. Why are so many edited volumes worthless? I think that "worthless" is harsh, but I have been wondering why, recently, so many edited volumes that really don't seem to live up to the potential of the individual contributors are now so popular. Anyone who follows publishing in archaeology (and probably in academia in general) knows that there has been a great increase in the number of edited collections in the past decade or so. In my humble opinion, many—perhaps most—of these are close to worthless. I’ll spout off about this for a bit, and then provide some suggestions for graduate students and young professionals who are thinking of editing a collection of essays (since these tend to be the worst offenders in producing books of dubious value). Why the profusion of edited volumes? Thanks to Val's comment on Egyptological for this link. Further to my previous post, the University of Basel have also posted an announcement in English, which repeats the details offered in the German version, but with a different photograph. Many thanks to Daniel Arpagus for this link. I don't speak any German so my interpretation of the following is based on Google Translate. The new pieces of information in here, as far as I can tell, are that the tomb has remained in tact since the 22nd Dynasty, preserving the original pattern of deposition, so items can be examined in situ. The mummy is intact, and the mummifed woman was around 1.55m tall. The remains of the grave goods from the original tomb owner (who still hasn't been identified), around 500 years before the 22nd Dynasty burial, remain below the surface of the debris at the moment, awaiting excavation. Google Translate couldn't translate "Einkammergrab" so if anyone could enlighten me I would be grateful! There is a good photograph of the coffin, shown side on, with some of the hieroglyphs clearly visible. The coffin is accompanied by a small painted stela, but this is impossible to make out - it is easier to see in the photo that appeared on the Al Ahram page. The chamber in which the coffin lies appears to be very roughly hewn. Bei der neu entdeckten Grabstätte mit der Bezeichnung KV 64 handelt es sich um ein über einen Schacht zugängliches Einkammergrab, in dem im Abstand von etwa 500 Jahren zwei Begräbnisse stattfanden. «Dieser Fund liefert wertvolle Informationen zu zwei unterschiedlichen Nutzungsphasen», so die Grabungsleiterin Elina Grothe-Paulin. Im oberen Bereich des Grabes, das am 12. Januar 2012 geöffnet wurde, entdeckten die Forschenden einen beschrifteten, gut erhaltenen hölzernen Sarkophag, der die Mumie einer Frau namens Nehemes-Bastet enthält. Diese stammt wohl aus einer der einflussreichen Familien der Amun-Priesterschaft und führte den in Elitekreisen häufigen Priesterinnentitel einer Sängerin des Amun. Die Basler Ägyptologen datieren diesen Fund auf die Zeit der 22. Dynastie (9. Jahrhundert v. Chr.). Nothing much new here, apart from the confirmation that an intact mummy was found within the coffin as predicted. A useful round-up. Archaeologists working in Egypt have discovered the tomb of a female singer in the Valley of the Kings. The tomb was found by a team from the University of Basel in Switzerland who came across it by chance. The woman, Nehmes Bastet, was a temple singer during Egypt's 22nd Dynasty (approximately 945 - 712BC), according to an inscription in the tomb. The coffin found in the tomb contains an intact mummy from almost 3,000 years ago. Professor Susanne Bickel of the University of Basel told the BBC that the coffin was opened on Monday and she was able to see the "nicely wrapped" mummy of the woman who was buried in the tomb. The opening of the coffin was carried out by Prof Bickel and her Basel colleague, field director Elina Paulin-Grothe, together with the Chief Inspector of Antiquities of Upper Egypt, Dr Mohammed el-Bialy and inspector Ali Reda. Prof Bickel said that the upper edge of the tomb was found on the first day of Egypt's revolution, on 25 January 2011. The opening was sealed with an iron cover and the discovery was kept quiet. I had an email asking me for details about Mansour Boraik and his role in Luxor. Readers of Jane Akshar's Luxor blog will be very familiar with him, of course, but for those wondering about his background, he is currently Director General of Antiquities in Luxor and there's a useful summary of his career to date on the CFEETK website, for those interested in finding out more. The tomb was announced in Luxor by Mansour Boraik in Luxor and Mohamed Ibrahim, Minister of State for Antiquities in Cairo on 15th January 2012. A pre-annoucement a few days earlier had indicated that something had been discovered and would be revealed shortly. KV64 is not in the central valley of the Kings. It is not on the hillside near KV8. It is not in the Western Valley. All of these have been mentioned as locations for KV64 – and indeed there is a probability of further finds in each of these areas. This is not then the story of the hunt for Tomb KV64, a story I will tell in full at a later date. Despite all the efforts which have gone into finding new tombs, like KV63 the new tomb was found by accident. The University of Basel has a concession to clean, document and record a number of the poorly studied undecorated tombs in the Valley of the Kings. During routine ground clearance they stumbled on two new features. One is a new feature near tomb KV40, reported as either a trial and abandoned shaft or possibly as foundation deposit for KV40. Dubbed KV40b, the details have not been fully reported and it was scheduled for investigation during winter 2011/12, although it may now take second place to KV64. I was somewhat dubious that the location had been correctly identified in earlier rumours, because the Valley of the Kings was reserved for royalty and their immediate family and dependents - but in this article Mansour Boraiq confirms that the site is indeed in the Valley of the Kings, and the burial was of a non-royal woman. "We were not looking for new tombs. It was close to another tomb that was discovered 100 years ago," Pauline-Grothe said. Pauline-Grothe said the tomb was not originally built for the female singer, but was reused for her 400 years after the original one, based on artifacts found inside. Archaeologists do not know whom the tomb was originally intended for. Archaeologists concluded from artifacts that she sang in Karnak Temple, one of the most famous and largest open-air sites from the Pharaonic era, according to evidence at the site. A deep burial well was found during a routine cleaning carried out by a Swiss archaeological mission on the path leading to King Tuthmosis III’s tomb in the Valley of the Kings. The well leads to a burial chamber filled with a treasured collection of ancient Egyptian artefacts. Mohamed Ibrahim, Minister of State for Antiquities, said that further inside the chamber, excavators stumbled upon a wooden sarcophagus painted black and decorated with hieroglyphic texts, and a wooden stelae engraved with the names and different titles of the deceased. New tomb discovered in Luxor? There have been rumours floating around that a new tomb has been found on the Luxor West Bank. I have seen nothing official, but Jane Akshar seems fairly confident that there is something in it. In a short post on her Luxor News Blog she says that more details will be available this evening, but that at 22nd Dynasty (Libyan rule) tomb has been found by the University of Basel tomb belonging to the a daughter of a priest of Amun Ra, Nekhmet Bastet . Today the Delta city of Beheira woke to the roar of bulldozers and trucks digging 35 feddans of Al-Qalaya archaeological site. The Antiquities and Tourism Police went to the site and surrounded it in order to stop those digging the site. An archaeological committee led by Mohsen Sayed, head of the Islamic and Coptic Antiquities Department, headed towards the site in order to inspect the damaged done. Until now those conducting the illegal dig refused to move off the site. The fieldwork at Amarna for 2011 finally ended on December 28th. At the larger of the two exposures, the Lower Site, the 5-m wide trench that had begun to cross the floor of the wadi was further extended to the far side. Across the full length the top layer of sand and gravel was removed, to the depth where the outline of grave pits became visible. Time did not allow for the excavation of the graves themselves in this new extension; they were protected with cloth and backfilled. The exposure of the tops of the graves - in effect the delineation of the plan of the cemetery in this part - revealed an unexpected anomaly. For part of the distance across the wadi floor (a stretch of 15 m) the graves stopped, only to reappear in the most distant squares that were past the mid-point. In part, this might be due to the burials having been washed away during the flood/s that created the channel, but this is unlikely to account entirely for their absence. It may be that these squares span some kind of thoroughfare or access route through the cemetery. The surface of the Wadi Mouth Site is more broken by erosion channels, making excavation and the identification of graves less straightforward. Excavation was limited to a block of four new 5-m squares. These confirmed that, despite the more difficult terrain, the conditions of preservation are actually the best so far encountered anywhere at the cemetery. Parts of at least 40 skeletons were recovered this season, 26 from the Lower Site and 14 from the Wadi Mouth Site. They range in age from infants to adults. With one or two possible exceptions, there were no multiple burials this year: all were interred singularly. An additional 14 likely grave pits were identified, all but two at the Lower Site, which await excavation in a future season. In the last week of excavation, a second decorated coffin was discovered at the Wadi Mouth Site. As there were no conservators on staff at this time, it was decided to leave the coffin in place, covered with textile and sand, until it can be properly consolidated and lifted in a future season. Only the very upper part of the two ends have been exposed, but the coffin seems to be a simple rectangular box measuring around 1 x 0.2 m, with painted surfaces (linear black decoration has been observed on the small parts exposed). In keeping with the good preservation of human remains at the Wadi Mouth Site, the wood also seems to be in much better condition than other coffins encountered so far at the cemetery, which now number 20, including this year's discoveries. Other finds were very few. They include two pieces of folded gold sheet found mixed in with the disturbed bone of Individual 232, but probably found elsewhere and dropped into this grave by the robbers; a copper-alloy ring found on the second toe of the right foot of Individual 230; a copper-alloy ring found on the fourth finger (the 'ring finger') of the left hand of Individual 229, the bezel inscribed with a probable image of Re-Horakhty. The tally of small finds from the cemetery has been modest from the outset of the work. This is not only a result of ancient robbery since undisturbed graves often also contain no grave goods. Even so, the rarity of finds this year has been particularly marked, in that no worked stone grave markers (stelae or pyramidions) were found at all. We have, from the beginning, noted that the extent of the cemetery along the sides of the wadi is revealed by a fairly close scatter of rough stones, often grey in colour, which are the remains of piles or cairns of stones that marked the positions of individual burials. On the floor of the wadi they scarcely appear, and few were found in the trench on the wadi floor. The likely explanation is that, after the cemetery had been abandoned (and after the phase of grave robbing), a torrential flood swept down the wadi and carried away the top surface including the stones. In January of this year, three days of heavy rain fell at Amarna, and short-lived streams formed in some of the wadis, including the large one that leads to the royal tombs. The South Tombs Cemetery wadi, however, absorbed the rainfall entirely, and no pools formed. It must have been a deluge of extraordinary magnitude to have created a flowing torrent with sufficient force to sweep the wadi floor clear of stones. We know, from initial surveys, that human bones are scattered across the desert plain for some considerable distance in front of the wadi mouth. The contour map (see attached file) has picked up a slight swelling of the desert surface here, that probably marks the presence of a slight outwash fan or delta formed from debris washed out from the wadi and now covered by wind-blown sand. Somewhere in this formation there is likely to lie, shallowly buried, the stones, worked as well as unworked, together with small artefacts. This is another direction in which to pursue future investigations. It is a relief to have reached the end of the year with the greater part of the intended work now accomplished. A period of writing-up will now follow, with fieldwork scheduled to begin at the end of March. This will see the start of a new project: the reclaiming of the Great Aten Temple, no less, a part of the Central City threatened by neglect and also by encroachment from the adjacent modern village cemetery. The first step will be to clean and expose what remains of the mud-brick enclosure wall at the front, which, according to the Pendlebury plan of 1932, includes a wide entrance flanked by pylons, currently invisible beneath old spoil heaps. Once exposed and recorded afresh, it should be consolidated with new bricks so that it becomes a clearly visible boundary to the site. The two accompanying maps summarize this part of the plan. It is a substantial piece of work that will considerably stretch our resources, the largest element in the budget being the employment of local workers and craftsmen and the purchase of local materials. Once more I appeal to the generosity of our supporters to help us, and offer my thanks in advance. Barry Kemp 7 January 2012. After 82 years, the Reading Public Museum's resident 2,300 year-old mummy, Nefrina, will come face-to-face with her funerary mask when it is on public display in The Museum's Ancient Civilizations Gallery beginning January 19. The cartonnage mask, made of a mixture of linen, plaster, papyrus, other pliable materials and covered in gold leaf, is on loan from the University of Pennsylvania Museum of Archeology and Anthropology where it has been stored since 1893. It will be on temporary display (through January 2013) as part of The Museum's Nefrina's World focus exhibition — also containing Nefrina's mummy, coffin, coffin lid, insights into the world in which she lived and a forensic facial reconstruction by artist Frank Bender (unveiled at the museum in 2010). On the final leg of a 10-year-long world tour, “Tutankhamun and the Golden Age of the Pharaohs” exhibition will officially open at the Tampozan Special Gallery in the Japanese city of Osaka. Egyptian Minister of State for Antiquities Mohamed Ibrahim will travel to Osaka tomorrow to lead Egypt’s official delegation at the opening on Wednesday. DEEP in the world’s oldest pyramid, real-life Indiana Jones Peter James faced the prospect of thousands of tons of rock crushing him at any time. The former Royal Navy lieutenant-commander – dubbed Indiana James by his team – was at the bottom of a 29-metre shaft where he was fighting to save the 4,700-year-old structure. It was not a job for people who don’t like being boxed in. The 68-year-old said: “If you went there in the dark and did not know what you were doing you would just fall down the shaft and splat at the bottom. In the eight metre square room he and his four man team sat with the stone sarcophagus of Pharaoh Tjoser – built to house the remains of the ancient ruler. The only way to reach the sarcophagus is to descend a specially built scaffold tower. All the way down the surrounding walls are dotted entrances to mysterious tunnels. One leads from one side of the pyramid to the other. This year archaeologists will forego celebrating Archaeologists Day as it coincides with the anniversary of the January 2011 revolution. Mohamed Ibrahim, minister of state for antiquities, decided to cancel the celebration ceremony this year for the sake of the feelings of the families of the revolution's martyrs. Ibrahim also called on archaeologists to work hard to protect Egypt’s heritage. The Advantage of Cultural Periphery: The Invention of the Alphabet in Sinai (Circa 1840 B.C.E ), pp. 255-321. In Rakefet Sela-Sheffy and Gideon Toury (eds). Cultural Contacts and the Making of the Cultures: Papers in homage to Itamar Even-Zohar (Tel Aviv: Tel Aviv University, 2011). Almost all scholars who have studied the birth and development of the Canaanite alphabet – the ancestor of all modern alphabets – think that the Egyptian script played a major role in this great intellectual leap. However, they differ in their reconstructions as to where the invention originated (Canaan, Egypt, or Sinai), the Egyptian source used as the basis of the invention (hieroglyphs, cursive hieroglyphs, hieratic), and the exact role of the source in the actual process of invention. Ideologies in Archaeology is an incredibly important book, if you want to understand the inherent but understated inner struggle that is part and parcel of studying and writing about the past. The book is an edited collection of articles which describe aspects of a philosophy of archaeology that has been bubbling among some scholars for some time now: arguably since V.G. Childe's day of the 1920s and 30s, when Marxism, with its condemnation of how states control and manipulate the lives of ordinary people first became part of academic discourse. Overall, Ideologies in Archaeology attacks the notion in two main branches. Thanks again to Jane for providing another write-up of the latest Mummification Museum lecture. The team have done three seasons so far. Their approach is not to look at the tomb from a narrow 19th Dynasty viewpoint but a more holistic view of who was buried there throughout its history. The tomb is situated at Dra Abu Naga. The periods covered are New Kingdom, Third intermediate Period, Late Period and Hellestic. The original builder has been identified as living in the Ramases II period not just on stylist grounds but also on because one of the people mentioned in it. However because he was a priest of the cult of Amenhotep I and Ahmose-Nefertari it is that pharaoh that is depicted. She was attracted to the tomb because Panehsy was a chanter, so was his wife which was a usual female role but a man to be doing it is more unusual, not only that his brother was also a chanter. Why was Dra Abu Naga chosen by him as the location of his tomb? The roar of bulldozers, trucks and rock-crushers will soon be heard again on the Giza plateau as construction work is resumed following a year's hiatus. On Tuesday, at a gala ceremony in the administration building of the Grand Egyptian Museum (GEM) on the Cairo-Alexandria road, an assembly of journalists, TV presenters, photographers, archaeologists, curators and governmental officials gathered to witness the signing of the contract for the GEM's third construction phase. A joint venture between Egypt's Orascom Construction Industries (OCI) and the Belgium BESIX Group won the construction bid and was awarded the contract for the completion of the GEM's third phase, which entails the construction of the museum's main building and the surrounding landscaping. At the premises of the Grand Egyptian Museum (GEM) overlooking Giza Plateau dozens of journalists and top antiquities officials will witness the signing of a contract between the Ministry of State for Antiquities (MSA) and Belgium construction companies in Egypt, who have been selected according to technical requirements agreed in a bid held early last month. MSA Minister Mohamed Ibrahim Aly told Ahram Online that the third phase of the GEM rehabilitation scheme includes the construction of the museum’s main exhibition halls, which will display 120,000 ancient Egyptian artifacts. Featured in this wing of the museum will be the Ramses II colossus statue, transferred in 2005 from Ramses square Downtown Cairo, and his daughter’s colossus statue Merit-Amun, now on display in the Sohag open-air museum. After three years of construction, the Crocodiles Museum in Aswan will share the significance of crocodiles and the ancient Egyptian crocodile god Sobek with visitors by the end of January. Overlooking the Nile and across from the historic temple of Kom Ombo in the upper Egyptian City, the museum aims to become the next big tourist attraction. Minister of State for Antiquities Mohamed Ibrahim told Ahram Online that the official inauguration of the museum will coincide with Aswan National Day in January. The museum boasts a display of forty mummified crocodiles, ranging from two to five metres long, along a crocodile foetus and eggs. Also on show is a collection of wooden and granite crocodile statues and replicas of crocodile holes in rocks. If you enjoy following excavation blogs you won't be disappointed by this one. Here's one of the early posts, but they have been posting consistently since then, and their blog provides an excellent example of how good a blog can be at bridging between the researchers and the public. I've been enjoying it enormously. After a few days preparing the house and all our equipment for the coming weeks of excavation, three of us took the boat journey to site on 2 January for the first time this season. Michaela Binder walked the ground in cemetery D, where excavation will begin this week, but I spent most of my time supervising the erection of our site tents. One houses the policemen who guard the site, while the other is for our equipment. The tents also offer a welcome respite from the howling winds (like today) or biting flies, depending on the climate. Once the tents were up, we started excavating in one of the houses (E13.8) under the supervision of Shadia Abdu Rabo. The upper deposit of mudbrick rubble has already yielded fragments with impressions of wooden poles, matting and foliage, indicating the space was once covered with a substantial roof. Alongside pottery, fragments of ostrich eggshell, stone tools, carnelian and jasper jewellery have already come to light – perhaps this space will prove as intriguing as the other back rooms in this block of houses? The Supreme Council of Antiquities is preparing a list of endangered archaeological sites in the Delta region and Lower Egypt, announced Mostaf Amin, the council’s newly appointed head, on Sunday. The list is to be published on the council’s website to flag archaeological sites threatened by urban expansion. So good to see Campbell Price making real use of this blog. As an exhibition‭ ‬at the Smithsonian Institution's National Museum of Natural History in Washington, D.C. shows,‭ ‬almost no animals escaped the carnage. Many ‬were simply bred to become votive mummies -- offered to the gods in the same way that people light up candles in churches today. "Various gods had different animal totems or avatars.‭ ‬Priests who maintained temples for these different gods offered a service whereby people could have an associated animal mummified and placed in a catacomb in their name," exhibition curator Melinda Zeder, director of the archeobiology program at the Smithsonian Institution's National Museum of Natural History, told Discovery News. The diverse, internationally acclaimed Collection hails from six continents and spans the millennia, shedding light on the vast scope of human activity and achievement. The permanent building to house the field notes and artifacts came more than a decade later, with the first section of the Museum, at what is now 3260 South Street, opening in 1899. Now, the Penn Museum begins its 125th anniversary year by placing its Collection front and center, launching the Penn Museum online Collections Database from the Museum’s homepage: www.penn.museum. It’s a place where scholars can go to get preliminary information on a particular artifact or set of artifacts, teachers and school children can explore a region’s cultural materials, and anybody with access to a computer can “curate” their own set of favorite “finds” and share them with friends. The new public database allows users to search in multiple ways, including by keyword, curatorial section, type of material, and display status. Highlights from the Collection are featured, as are several cross-cultural thematic collections, including Egyptian Afterlife, Hair & Makeup, Feathers, and Animals. Two University of Western Ontario researchers have won international grants for their projects, one of which will make the university the "ground zero" of mummy studies. Using CT scans to help him look inside mummies, researcher Andrew Nelson and his team are trying to determine cultural, political and foreign influences in ancient Egypt. "To look at that pattern, you need to assemble data from lots of mummies," said Nelson, an associate professor of anthropology and associate dean of research in the faculty of social sciences. Nelson is partnering with research groups in the U.S. The project has won him a $165,000-grant as part of the second annual digging into data challenge. Another excellent summary of a subject that fascinates the public. Last May the Project Djedi Team caught the world’s attention, and imagination, when they announced that the robot crawler designed to explore the southern shaft leading out of the Queen’s Chamber of the Great Pyramid had transmitted back images of markings left behind by the pyramid’s builders. Hidden behind a “door” that had either thwarted or limited previous attempts to investigate the shaft, the markings prompted much speculation about their nature and purpose. Desde este próximo día 9 de enero hasta el 3 de marzo, la Universidad de Jaén llevará a cabo su cuarta campaña de excavación en la necrópolis de los nobles de Asuán (Egipto), bajo la dirección del profesor del Área de Historia Antigua, Alejandro Jiménez Serrano. Este año la campaña se desarrollará durante siete semanas y en ella participarán diecisiete investigadores, la mayor parte de ellos de la Universidad de Jaén. Según explica el director de las excavaciones, las convulsiones políticas que ha sufrido Egipto durante el último año han hecho peligrar la presencia de los investigadores de la Universidad de Jaén, pero el nuevo clima democrático permite augurar una situación estable y supone un compromiso de la institución jiennense en la defensa y conservación del patrimonio egipcio. En este sentido, Alejandro Jiménez afirma que, de hecho, el proyecto de la Universidad de Jaén es uno de los más importantes que desarrolla España en el país de los faraones, tal y como lo demuestra el hecho de tratarse de un proyecto de I+D+i Nacional, contar con las subvenciones de la Dirección General de Bellas Artes y Bienes Culturales y la colaboración desinteresada de empresas e instituciones privadas, entre las que destaca la Fundación Qubbet el-Hawa. Egyptian art, like Greek and Roman, is one of the MFA’s great strengths. What’s more, imaginatively presented, Egyptian art seems to excite young people more than any other category of art besides video games. The museum’s Egyptian collection, which dates to the first joint MFA- and Harvard-sponsored expeditions to Egypt in the early 20th century, inspires envy the world over. But the Egyptian galleries are lackluster: They are split up over two levels into galleries both new and old, and irrationally displayed. Animalmummies.net is a searchable database of Ancient Egyptian animal mummies. Animal mummies were created by the millions during the Late-Roman Periods in Egypt, mostly to be used as votive offerings at temples of gods associated with those animals. Some were extravagantly made with decorations and colorful wrappings to be sold at high prices at the temples. During early excavations in Egypt, many animal mummies were dug up and discarded. Very few examples were saved and sent to museums. This has resulted in only a small sampling of these objects being studied. Animal mummies, however, provide important insight into the lives and religion of Ancient Egyptians during a crucial point in their history and deserve to be studied in-depth. This site was created as a resource for both scholars and the interested public in the hopes that it may become a collaborative project to help gather information on animal mummies. We encourage contributions from museums, researchers and individuals in the hopes of enlarging the corpus. Searches can be done on any of the descriptive fields as well as advanced searches, which combine two or more fields. There is also a Browse mode which lists mummies by animal type, wrapping type and museum. The Opening of the Mouth ritual in the tomb of Harwa TT37: Miriam Ayad's report. The Opening of the Mouth ritual could be performed on a cult statue, a mummy or a temple. In 1960 E. Otto published examples of 75 scenes which could appear either as text, a scene or both. The ‘sen’ priest appears wearing a leopard skin and using an adze, he also appears presenting incense or pouring libations to be ritually purify the mummy. The various scenes, using Otto’s numbering, are 2-7 and 57-75 are about ritual purification and 26 and 17 about opening of the mouth. This year, 2011, was indeed different for Egypt. 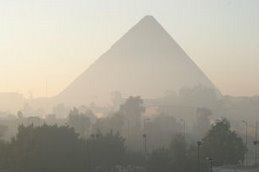 A few days after the revolution broke out on 25 January, eventually toppling president Hosni Mubarak and his autocratic regime, the corrupt police force faded into the background and many of Egypt's most important monuments and archaeological sites were left vulnerable to attacks by vandals, thugs and thieves. The first victim of the turmoil was the Egyptian Museum on the rim of the revolutionary hotspot, Tahrir Square. On Friday 28 January thieves broke into the museum through a skylight and removed 48 artefacts from their showcases. By good fortune, 29 of the missing items were recovered soon afterwards, many of them handed in by members of the public. Many storage places all over Egypt suffered break-ins, among them the Qantara East storehouse in Sinai, which houses artefacts belonging to the planned Port Said Museum and the Suez, Sharm El-Sheikh and Taba museums as well as objects returned from Israel under the Egyptian-Israeli peace treaty. Looters broke into the storehouse and stole several boxes of objects containing up to 800 items, although to date 292 of these have been returned. Meanwhile, people have encroached on monument buffer zones, building houses or carrying out illegal night-time excavations. Reports of illegal construction have come in from near the Pyramid of Merenre and at the Mastaba Faraun near Saqqara. Many sites, including some in Alexandria, Ismailia, Saqqara, Beheira, Sharqiya, Abusir and Dahshour, have reported illegal excavating, very often at night. Though the majority of our finds, including pottery, stay in Sudan, each season we have the opportunity to bring back samples for scientific analysis, and also to borrow vessels of particular interest for conservation and reconstruction. These will be returned to Sudan in due course. I have previously written about the shapes and purposes of the vessels we find in excavations, but another important part of working on pottery is to study the fabrics, that is, the different preparations of clay – often mixed with materials such as chaff – used to make the vessels. As the composition of clay varies from region to region, the fabrics can indicate where a vessel may have been made, which has implications for the organisation of production, transport and trade networks.